Joseph Charles Rodriguez was born on 14 November 1928 in San Bernardino, CA. Rodriguez, a Mexican-American, was raised in San Bernardino and received his primary and secondary education there. In October 1950, Rodriguez was drafted into the U.S. Army and ordered to report for induction in his hometown. He received his basic training at Camp Carson in Colorado. There he was assigned to Company H, 2nd Battalion of the 196th Regimental Combat Team. Private Rodriguez completed his basic training in February 1951 and volunteered for duty in Korea. He was promoted to Private First Class and sent overseas and assigned to Company F, 17th Infantry Regiment of the 7th Infantry Division. On June 1950, General Douglas MacArthur decided on an amphibious invasion of North Korea's west coast, entrusting the 1st Marine Division and the 7th Infantry Division for the mission. The division landed in Pusan and continued to drive toward the southeast to seize key terrain, and also to cut off possible enemy escape routes. On 27 November, the terrain gained by the division came under heavy attack from the Chinese Communist Forces (CCF) who had intervened in the war. The enemy attack caught the 7th strung out, with some elements as far as 250 miles apart. On 21 May 1951, Company F was assigned the mission of occupying some high ground near the Korean village of Munye-ri. The high ground was firmly entrenched with Communist Forces, who were unwilling to give up the ground. Three times Company F attacked the ridge and three times they were thrown back. PFC Joseph C. Rodriguez was the assistant squad leader of the 2d Platoon. His squad's advance was halted by enemy hostile fire coming from 5 different emplacements. Rodriguez then took upon himself the mission of destroying these emplacements. He charged the emplacements and hurled grenades in each one of the foxholes. Rodriguez destroyed the emplacements and annihilated a total of 15 enemy soldiers. As a result, the enemy was routed and the strategic strongpoint secured. For his heroic actions, Rodriguez was promoted to the rank of Sergeant and nominated for the Medal of Honor. Sgt. Rodriguez distinguished himself by conspicuous gallantry and intrepidity at the risk of his life above and beyond the call of duty in action against an armed enemy of the United Nations. Sgt. Rodriguez, an assistant squad leader of the 2d Platoon, was participating in an attack against a fanatical hostile force occupying well-fortified positions on rugged commanding terrain, when his squad's advance was halted within approximately 60 yards by a withering barrage of automatic weapons and small-arms fire from 5 emplacements directly to the front and right and left flanks, together with grenades which the enemy rolled down the hill toward the advancing troops. Fully aware of the odds against him, Sgt. 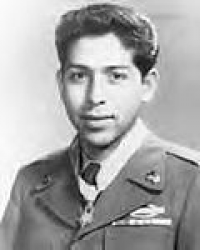 Rodriguez leaped to his feet, dashed 60 yards up the fire-swept slope, and, after lobbing grenades into the first foxhole with deadly accuracy, ran around the left flank, silenced an automatic weapon with 2 grenades and continued his whirlwind assault to the top of the peak, wiping out 2 more foxholes and then, reaching the right flank, he tossed grenades into the remaining emplacement, destroying the gun and annihilating its crew. Sgt. Rodriguez' intrepid actions exacted a toll of 15 enemy dead and, as a result of his incredible display of valor, the defense of the opposition was broken, and the enemy routed, and the strategic strongpoint secured. His unflinching courage under fire and inspirational devotion to duty reflect highest credit on himself and uphold the honored traditions of the military service. On 5 February 1952, President Harry S. Truman awarded Sgt. Rodriguez the Medal of Honor in a ceremony held in the Rose Garden at the White House. He was also awarded the Combat Infantryman's Badge. After the Korean War, Rodriguez decided to make the military his career. 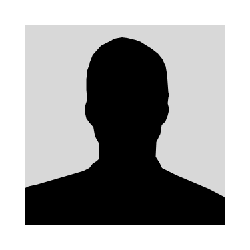 He was assigned to the administrative staff at the ORC headquarters in San Bernardino. Groucho: If you don't win any money here tonight it won't be my fault, son! Well, Joe, that's the most amazing thing I ever heard. There's just one thing I'd like to know - when you were running through all that lead, what were you thinking about? Joe: Well, I wasn't thinking - I was just mad, I guess. Groucho: You wiped out a whole army just because you got mad? Joe...if I said anything here tonight that you resent, I was just being facetious. Groucho: What are your plans for the future, Joe? Joe: I hope to make a career in the Army. Groucho: Well, I'm sure glad you're on our side. Rose, take good care of this fella. My advice is, don't ever make him mad - he's liable to wipe out Los Angeles! Well, you're a fine couple, and I'm sure you're going to have many happy, handsome, bright, and brave children. In 1953, Rodriguez married Rose and together they had three children. 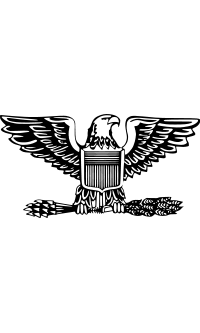 He subsequently became a commissioned officer in the U.S. Army Corps of Engineers, serving more than 30 years in the U.S., through four Latin American assignments, and unaccompanied tours in Korea and Vietnam. In 1980, Rodriguez retired from the Army with the rank of Colonel. Rodriguez was residing with his wife, Rose, in El Paso, TX, at the time of his retirement. He spent the next ten years as Facilities Director at the University of Texas. He dedicated much of his time of his last fifteen years to national speech engagements addressing young people and soldiers, encouraging them to pursue their education. Colonel Joseph C. Rodriguez died on 1 November 2005, in El Paso and was buried with full military honors at Mountain View Cemetery in San Bernardino, CA. Rodriguez is survived by his wife, Rose; his sons, Lt. Gen. Charles G. Rodriguez *, Lawrence R. Rodriguez; daughter, Karen Sharp; 11 grandchildren; 10 sisters and 2 brothers. * Lt. Gen. Charles G. Rodriguez is the Adjutant General for the State of Texas in the Texas Army National Guard. He is a 1975 graduate of the U.S. Military Academy.